Ashbridge Fencing & Landscaping - Driveways/Patios/Paths, Fencing/Gates, Landscaper based in Aldershot, Surrey. Invoice history based on 243 reviews. 10% discount For all my customers! Please call for EMERGENCY storm damage to be repaired or replaced, 24 hour call out service! 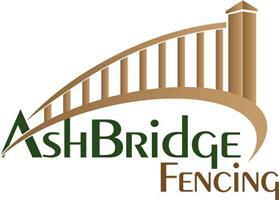 Ash bridge fencing & Landscaping is a professional service that tries there very best to get 110% satisfaction! Run by Sam who quotes and does the work himself! Fully insured with lots of experience & highly dedicated. For a quick, friendly & reliable service, you can't go wrong as Ash bridge fencing will go the extra mile to keep customers happy!